I n a treasure chest of rare Namibian game species a green utopia rises above the surrounding plains. The red sandstone cliffs of the Waterberg Plateau stand as a beacon of hope in the Waterberg National Park, one of Namibia’s most successful wildlife rehabilitation areas -– a park that is anything but green behind the ears when it comes to conservation. I awake with a start by an unlikely wake-up call. There is a baboon on my roof. The roof of my tent on top of my bakkie as it stands parked in the camping area at Waterberg Resort. I give a bit of a half-hearted kick at the canvas overhead and with that the critter jumps down onto the bakkie’s back railings and then to the ground, running off with what I swear is laughter in his guffaws. Awake, albeit not happy about it, I decide that I might as well get up and start the day’s activities, as my time in the park is short and precious. Two hours later I am back at the car, exhilarated and satiated after a hike along the base of the plateau, after having made friends with no fewer than eight Damara dik-diks, countless birds and a kudu darting through the thick bush that the nature walk leads through. The previous night had been a highlight of my Namibian safari experiences. On a game drive with an NWR guide and a group of European tourists, I had been treated to sightings of sable, roan and buffalo, all but two hours from the capital! Now for those of you who know, sable and roan are not your everyday antelope spotted on a Namibian safari. The only other time I had seen them was all the way north in Bwabwata National Park in the Zambezi Region. Since 1972 it has been a sort of credo of the Waterberg administration to rehabilitate species that had long since died out (or been poached to extinction) in the region. Initially proclaimed as a conservation area to protect eland populations that were unfavourably looked upon by cattle farmers in the region, the reintroduction of species was broadened to include sable, roan, tsessebe and black and white rhino, bringing them back from the brink of extinction. The conservation programs are so successful that the Ministry of Environment and Tourism (MET) has been able to relocate animals from the park to other parts of the country to improve their distribution, genetic variation and also reintroduce them to other territories where the species had once thrived before human intervention, such as black rhinos in the Kunene region. Animals on the plateau are kept in a safe pocket of conservation as they are protected not only by MET rangers, but also by the natural impenetrable boundaries formed by the high cliffs on all sides but the north. Dams have been built over the years and game-proof fencing has been erected. Surveillance cameras powered by solar energy have been placed at waterholes and custom hides were built so that wildlife can be monitored. An Alcatraz in Namibia! Not to keep anything in, but rather to keep the threats of the human world out. 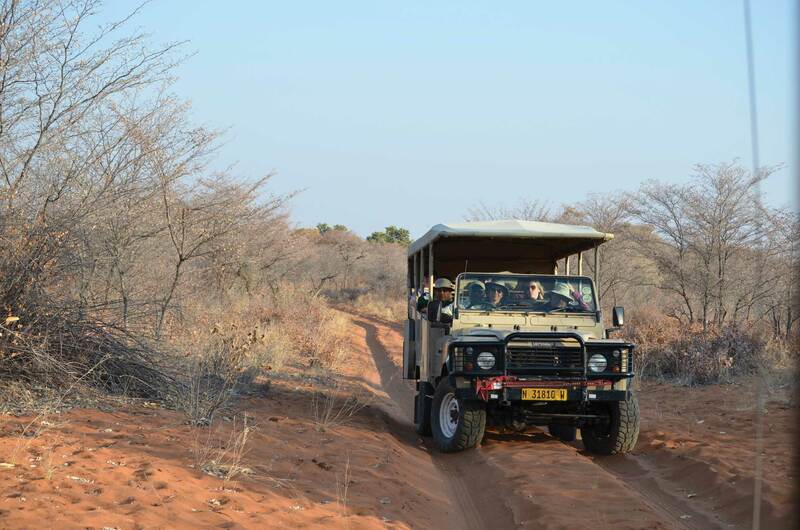 Guided game drives are the only way to access the plateau of the park. 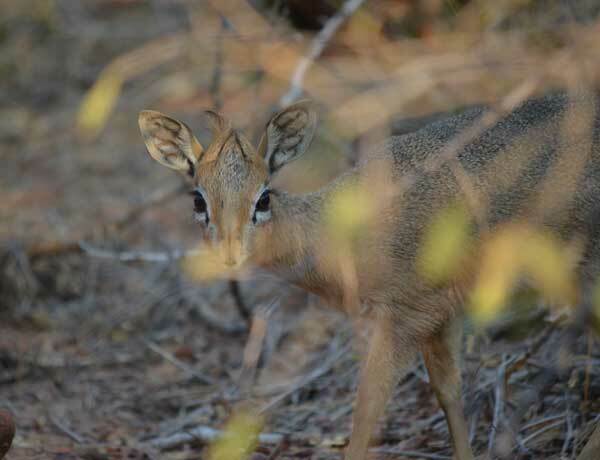 Waterberg National park is home to an abundance of Damara Dik-dik, Namibia’s smallest antelope. Here you will find the only population of buffalo south of the red (veterinary) line. 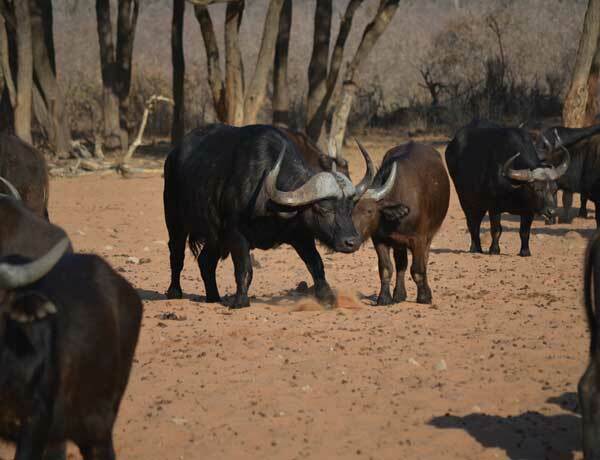 These buffalo are all certified disease-free. 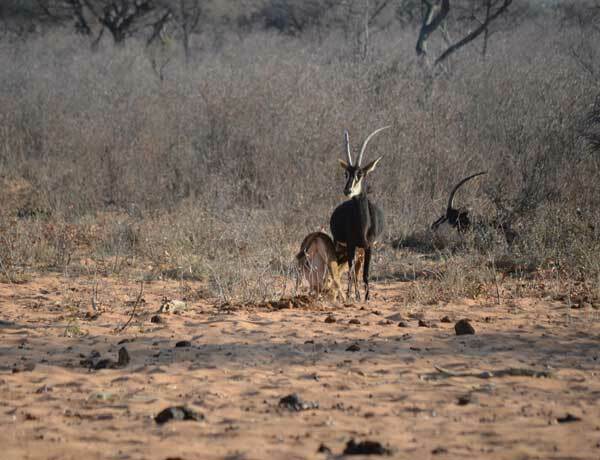 Healthy populations of sable and roan antelope thrive in the park. 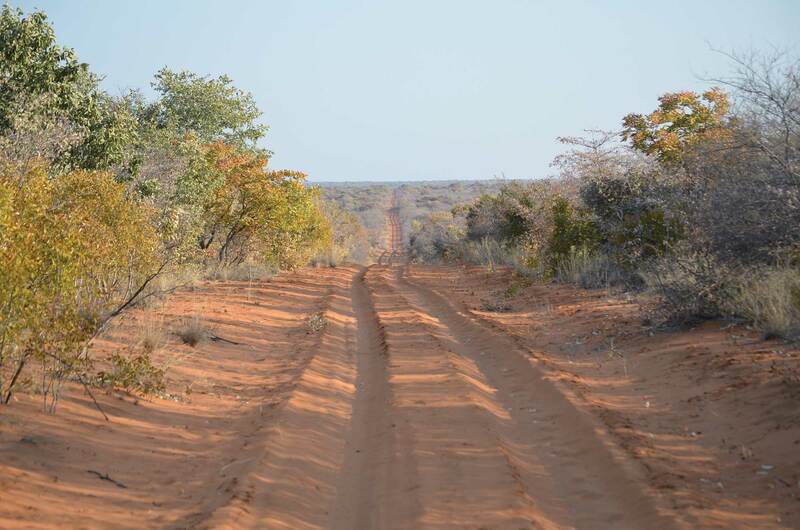 “The amazing thing about Waterberg is that it is unique in terms of the variation in the vegetation and geological makeup. Add to this the fact that everything is basically constituted at the top of the plateau and you have one of the most pristine conservation areas in the world.” – Kaiporo Kandji, Warden, Waterberg Plateau Park. Unfortunately, despite the immense measures that have been applied to make this Eden of wildlife protection as safe as possible, growing concerns about poaching persist. As a result MET was forced to close down one of the most exciting activities for which nature lovers from all over the world used to travel to the Waterberg. The popular 3-day guided and 42 km self-guided hikes on top of the plateau have been suspended until further notice. In an attempt to do everything in their power to curb the ever-increasing poaching epidemic in Namibia, park officials now restrict access to the top of the plateau to guided nature drives. Even though the main hiking trails have been closed, there are still nine different nature walks and hikes to lookout points within the resort area managed by NWR. These hikes vary between bird-watching trails and rock-clambering expeditions that lead to natural springs on the edge of the cliff faces, all of them revealing breathtaking views of the flat landscapes stretched out west, south and east of the plateau as far as the eye can see. 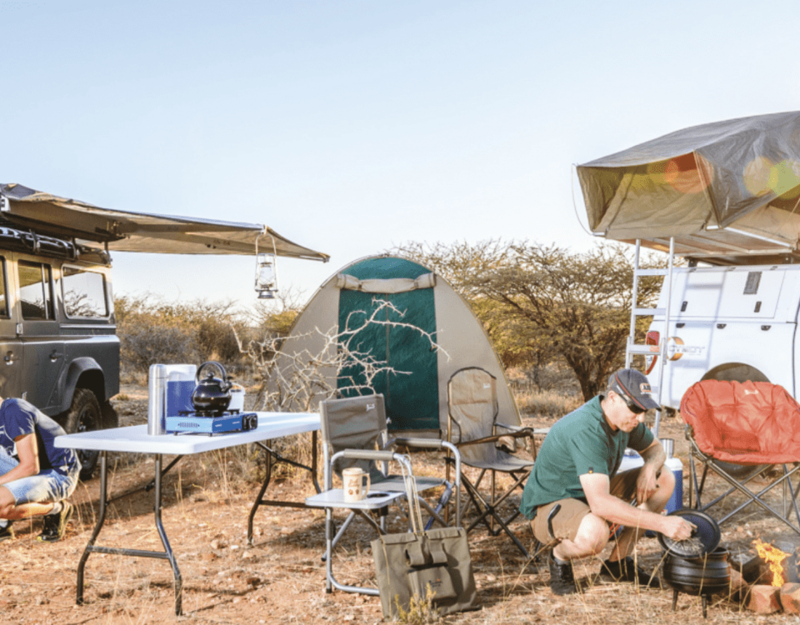 So, if you’re looking for an adventure so immersed in nature that you could not begin to imagine that a modern world exists, head to the island of red and green near Otjiwarongo, a conservation success story 43 years in the making.